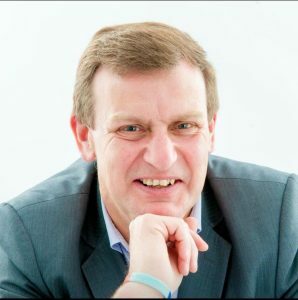 Mike Gardner – The Time Doctor - I'm your PA : The virtual assistant company that likes to make you smile. As business owners we often spend silly amounts of time working on or in our business – but at what cost? I hear only too regularly of people suffering with serious health issues, driven there no doubt by long hours, no exercise, poor diet, before they know it, all that hard work was for nothing. I recently read a number of articles by a gentleman who lived life to the full, Mike Gardner, The Time Doctor was a very well respected Time Management Consultant who sadly passed away on 18thNovember. One thing that really stood out for me from Mike’s teachings is the use of Preservation Goals – what are the things you will not give up at any cost, things like partner, children, family and health. Mike also used to get his clients to look at their diaries, one video he asks people to look in their diaries and asks who’s stuff is in the diary, so often our diaries are full of other peoples “stuff”! It really is important for us to make sure that we schedule time in our diaries to help ourselves, if we cannot look after ourselves, how can we look after others? Mike wrote a brilliant book called “Business Owners – your family misses you”, reading it has certainly made me think long and hard about my lifestyle and family time. I guess I realise I actually have a duty of care to my business to look after myself, so I am starting to book far more “me” time in my diary, 2019 will see a number of changes for the better in my life.